Protect your rights and maximize your payout after a Maryland car accident. We answer key questions and show you how to build a strong insurance claim. When you find yourself part of an accident scene, be ready to protect yourself. You can build a successful insurance claim if you know what to do from the start. When you suffer injuries or property damage from a car accident, you should be compensated for those losses. This guide can help. Here are 10 steps to help you build a successful accident insurance claim. We’ve also answered 30 of the most frequently asked questions about Maryland car accident claims. What do I tell the 911 dispatcher? Will police come to the accident scene? What about the other people in the accident? Do I have to report the accident? How can I request a copy of the police report? Are photographs or video important? Can I use an app to report the accident? Do I have to call my insurance company if it wasn’t my fault? What is pure contributory negligence? How does contributory negligence affect me? 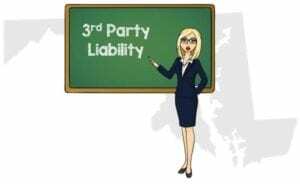 What are my options under Maryland’s third-party liability rules? How much insurance coverage is required in Maryland? What is the role of law enforcement at accident scenes? Do the police have to listen to me? 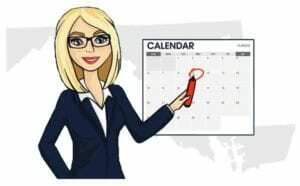 When should I file a small claims court lawsuit? 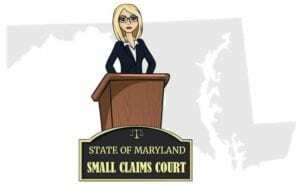 How much can I sue for in Maryland small claims court? Do I sue the at-fault driver or the insurance company? How can I learn more about Maryland small claims court? What is the Statute of Limitations period in Maryland? 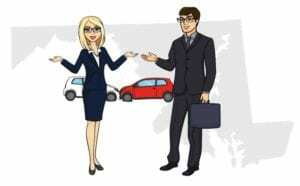 What if the insurance company isn’t cooperating? What if time is running out and my claim hasn’t settled? When an accident happens that results in injuries, death, or property damage, drivers are required by Maryland law to stop and remain at the scene. Tell the 911 dispatcher where to find you, if anyone is hurt, and what is going on around you. Emergency help will get to you faster if they know where you are, so tell the dispatcher the road you’re on, the direction you were going, nearest intersections, mile markers, or landmarks near the scene. It’s also important to tell the dispatcher what’s going on at the crash site. Let the dispatcher know about hazards you can see, like overturned cars or downed power lines. Police officers typically respond to accidents involving injuries, traffic problems, or where there are other reported hazards. Maryland law requires drivers to give “reasonable assistance” to people who are injured or asking for medical help. Calling 911 is one way of assisting the injured. If emergency personnel are not on the scene, you must help the injured as best you can. You are also required to provide your name, address, car registration and insurance information, and show your driver’s license to the other people involved in the crash, and to any police officer on the scene. The other driver must provide the same information to you and your passengers. Bleeding wounds and broken bones are obvious injuries. Unfortunately, many car accident injuries aren’t so easy to see, even critical injuries like closed head injuries or internal bleeding. For some accident victims, injury symptoms don’t appear until hours or even days after the crash. Never refuse medical treatment at the scene. Be honest with paramedics about every symptom you’re experiencing, no matter how mild. If paramedics want to take you to the hospital, let them. If you aren’t transported directly to the hospital, make sure your medical provider evaluates you as soon as possible after the accident. You risk compromising your insurance claim by refusing or delaying medical care after an auto accident. It’s all too easy for the insurance company to say your injuries were not caused by the crash. If you’ve hit a parked and unattended vehicle, stop at the scene. Try to find the owner and share your name, address, registration, and insurance information. If they ask, you must also show your driver’s license. If you can’t find the vehicle’s owner, leave a note on the car where it’s easily seen. The note should have your name, address, registration information, and an explanation of what happened. Always call 911 if you are in an accident that involves a fatality or injuries. Motor vehicle accidents that cause death or injury which have not been investigated by police must be reported in writing to the Maryland Motor Vehicle Administration (MVA) within 15 days of the accident. Drivers are not obligated to report to the MVA if the accident was investigated by the police. You may request a copy of the police report from the Maryland State Police Central Records Division. Collecting evidence at the accident scene will significantly help your insurance claim, especially if the accident happened because of a negligent driver. But you have to act fast. Accident scenes change quickly. Cars are towed, and the people involved leave. Don’t miss the opportunity to get vital information from drivers, passengers and witnesses before they’re gone. Use your phone or camera to take pictures or video of the cars, the people, and anything in the area related to the crash. Note the facts, like the date and time, weather conditions, and visibility. Also write down your observations and impressions before and after the crash, like things you felt, heard or even smelled (like alcohol). Maryland law requires you to share certain information with passengers from the other car, but they are not obligated to share any information with you. Still, you can ask for all passengers’ full names, dates of birth, addresses, telephone numbers, e-mail addresses, and any other contact information. If the passengers refuse to talk to you, you can make notes for yourself about the number of passengers, estimated ages, what they looked like, how they were acting, and anything you heard them say. Gather information on the other vehicles involved in the crash. You should be able to see the make, model, year, license plate number, and plate expiration date. 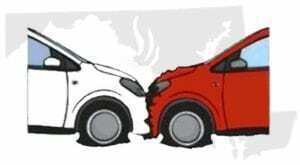 Try to get the vehicle identification number (VIN) for each vehicle involved in the accident. 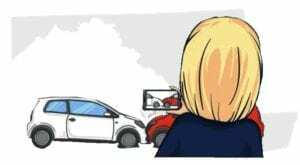 The VIN is usually on the car’s dashboard in the left corner at the bottom, on the driver’s insurance card, or inside the door jamb of the driver’s side door. Don’t go into the other driver’s car without permission. You are not required to share your information with witnesses, and they’re not obligated to talk to you, but you can try to speak with witnesses to find out if they saw anything helpful. If you have a cooperative witness, ask for their contact information and a written statement. Have the witness sign and date their statement. Create a diagram of the crash scene showing each car’s location before and after the accident, and the direction each car was heading. Include notes on factors that played into the crash. Yes. Take as many pictures as you safely can of the cars involved, the accident scene, and the nearby area. Photos and video can can sometimes capture how the drivers and passengers were talking and acting, including possible intoxication, and other significant clues that can help your claim. Your accident scene photographs and videos can become convincing evidence that makes it harder for people to change their story later on. Keep a copy of our free Car Accident Information Form and a pen in your car, in the same place as your proof of insurance. You’ll always be prepared to collect the information you need from an accident scene. An automobile insurance policy is a legal contract between you and the insurance company. You expect your insurance company to protect you, but you have to do your part. Understanding your responsibilities under the policy will keep those protections in force after an accident. Yes. Free apps for Apple and Android devices make reporting a Maryland car accident faster and easier. Many of the apps will help you gather important information and start the insurance claim process. Here’s a sampling of accident reporting apps. Check with your insurance company to see if they offer a similar application. Yes. You agreed to report all vehicle accidents to your insurance company, even if the accident wasn’t your fault or no one seems to be hurt. There are consequences to breaking your contractual agreement. Failing to notify your insurance company can lead the company to charge higher premiums, decline to renew your policy, or even cancel your existing insurance. Make sure the insurance company hears your side of the story before they hear it from someone else. Your insurance company will be in a tough spot if the other driver hires an attorney, and you hadn’t already reported the accident. You can bet the other driver’s attorney will notify your insurance company, and make specific demands. Reporting the accident, even a low-impact collision, will help protect you later if the other driver decides to blame you for the accident, or begins complaining of injuries. Here’s a sample Notice of Occurrence Form with examples of accident details to tell your insurance company. Maryland is one of the few remaining states to follow the pure contributory negligence rule when it comes to liability and recovery. 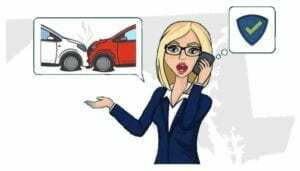 Under pure contributory negligence rules, if the victim of a car accident is found to be partially at fault for the accident, s/he is prevented from receiving any compensation from the driver who was most responsible for the crash. Maryland’s contributory negligence rules go into effect whenever there is shared blame for a vehicle accident. When an accident victim has any share of liability, even as little as 1%, the victim is prevented from receiving any compensation from the driver who was most responsible for the crash. This means that no matter how severely you are injured in a Maryland car accident, you could end up with nothing if the insurance company can show you made even the slightest contribution to what happened, even when the other driver was clearly to blame for the accident. Judy was driving her car in the right lane of the Interstate. Fred was travelling behind her. Fred wanted to pass Judy, so he moved into the center lane and increased his speed. Once past her car, Fred started to move back into the lane in front of Judy. Unfortunately, when moving back into the right lane, Fred’s car hit the front of Judy’s car, causing her to run off the road and overturn, severely injuring Judy and wrecking her car. Judy filed a claim with Fred’s insurance company for $100,000 for her medical costs and pain and suffering. Fred’s insurer denied the claim, arguing that Judy caused the accident by speeding up when he was trying to pass her. Judy sued Fred. At trial, witnesses testified they saw Judy speed up when Fred was trying to move back into the right lane. The jury decided that Fred was most at fault (95%) for the accident for moving back into Judy’s lane before it was clear. But Fred wasn’t the only one who caused the wreck. The jury found that Judy contributed to the accident because she sped up when Fred was trying to pass her. They decided that if Judy had not increased her speed, Fred might not have hit her car. Judy was found to be 5% at fault for the accident. Because of Maryland’s contributory negligence rule, Judy will not recover any settlement money from Fred or his insurance company. 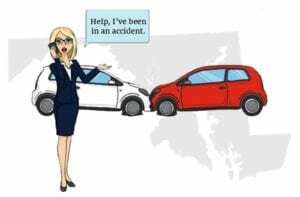 Maryland is not a no-fault insurance state, where each driver in a crash pays their own expenses, with help from their own insurance. Under Maryland’s third-party liability rule, drivers who are in an accident caused by another driver can file claims against the other driver’s insurance company. When you make a claim under your own insurance policy, it’s a first-party claim. If you make a claim against an auto insurance policy where you are not covered or listed on the policy, you are making a third-party claim. What are my options under Maryland ’s third-party liability rules? Liability Insurance comes into play if you’re at fault for an accident. Maryland vehicles must be insured with at least the minimum liability coverage for bodily injury in the amounts of $30,000 per person and $60,000 per accident, as well as $15,000 per accident for property damage. Maryland law enforcement has an important job to do when they respond to an accident scene. The police investigation and accident report can be an important part of your insurance claim. No. While you have the right to try to tell your side of the story, the officer doesn’t have to take the time to listen to you. When a police officer gives you instructions, you must cooperate. Don’t argue with the police. Confrontational remarks like “I know my rights. I’m reporting you!” not only interfere with the investigation, but can also result in a citation, or even your arrest. 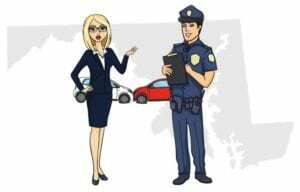 At the scene, you may be issued one or more citations for violating Maryland traffic laws. You can try to talk the officer out of giving you a ticket, but once the citation is issued, you should accept it. You are not admitting guilt by signing a citation. If you want to dispute the ticket, do it in court, not at the accident scene. While there are some insurance claims you can settle on your own, severe injury claims will require an experienced attorney to convince the insurance company to pay enough to cover your damages. “Soft tissue” injuries include bruises, sprains and other minor injuries. Soft tissue injury claims aren’t complicated, don’t usually include expensive diagnostic tests, and are usually made up of bills for treatment and therapy, some lost wages, and a minimal amount for pain and suffering. Soft tissue injuries can often be successfully settled without hiring an attorney. “Hard” injuries are much more serious and can include amputations, disfigurement, head trauma, spinal injuries, and similar devastating injuries. Hard injury claims are complicated and much more expensive for the insurance company if they have to pay. Remember, under Maryland’s contributory negligence rule, you won’t get a dime if the other driver’s insurance company is convinced that you made even the slightest contribution to the accident. You could end up with nothing by trying to to represent yourself in a severe injury claim. Negotiating high-dollar insurance settlements for severe injury claims almost always requires legal tactics like record subpoenas, expert medical testimony, interrogatories, depositions, and may include filing a lawsuit. When you’ve been seriously injured in an accident, you have limited power to handle insurance negotiations and legal procedures on your own. Without a skilled attorney, once the insurance company makes their “final” decision, you probably won’t have the knowledge or energy to fight them. Insurance companies bank on that, routinely making low-ball settlement offers to claimants without legal representation. Experienced personal injury attorneys have the skills, knowledge, and tools needed to defend you against accusations of contributory negligence and to compel the insurance company to pay the amount you deserve for your injuries and suffering. Most reputable personal injury attorneys offer a free initial consultation, and you can meet with more than one attorney before deciding who will fight for you. Bring your accident-related documents to the first consultation with each attorney you meet, including your medical records, accident report, and witness statements. The attorney will review your papers, and talk with you about the accident. Then the attorney will give you an idea of your claim’s value, how long it could take to settle, and if you’ll need to file a lawsuit. Personal injury attorneys are usually paid by accepting a contingency fee, meaning that your attorney’s fees will be paid out of your insurance settlement or court award. Contingency fees can range from 25% up to around 40% of the gross settlement amount or court verdict. If your attorney can’t settle your claim or loses your case in court, you won’t pay any fees. Small Claims Court is a faster, easier, and less formal way to resolve small claims. Small claims actions in Maryland are heard in the District Court. 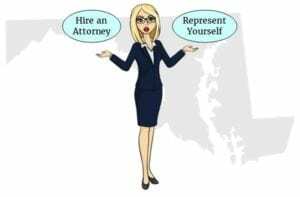 You may hire an attorney or represent yourself in Maryland small claims court. You can sue for up to $5,000 in Maryland small claims court. Your Maryland small claims court action must be filed against the at-fault driver, not the driver’s insurance company. For more information, go the Maryland Courts Small Claims page. When it comes to car accidents, the statute of limitations is the legal time period for you to either settle your insurance claim or file a lawsuit. If you miss the statute of limitations deadline, you will lose your legal right to pursue your claim with the negligent driver or the driver’s insurance company. Maryland has a three year statute of limitations for car accident claims. The statute starts to “run” on the accident date. This means you have three years from the date of the accident to settle your claim or file a lawsuit against the at-fault driver. If negotiations are dragging, it’s up to you to keep a sharp eye on the statute of limitations deadline. Don’t rely on the insurance adjuster’s promises if time is getting short. The insurance company does not have the authority to give you an extension on the statutory deadline. If you don’t file a lawsuit against the at-fault driver within three years of the car accident date, you can’t do it later by blaming the insurance company. Take action. If you don’t have a fully executed settlement agreement, don’t risk forfeiting your claim. Remember, filing a lawsuit preserves your claim, and your attorney may be able to settle with the insurance company before you go to court. On the other hand, if you miss the three-year deadline there is nothing you can do to make the insurance company pay for your damages. Be aware of the statute of limitations deadline for your accident. Schedule reminders for yourself well in advance of the deadline. Put alerts on your phone, your computer, mark the date on your calendar, or whatever it takes to remind you. Don’t wait until the last day to act on preserving your claim. Can I see a chiropractor for minor neck injury after rear end accident? A driver hit the rear of my car on Monday 3/19 . The car damage was minor and their claim adjuster looked at it yesterday….